The Award of Merit, Citation of Merit, Donald C. McCune Award, George C. Mann Award, Robert W. Rupert Award, Partner in Adult Education, Excellence in Teaching Awards, and Excellence in Support Services Awards were presented at the 2017 CCAE State Conference in Long Beach, California. Sonya Ramirez has worked in adult education with the Division of Adult and Career Education a part of the Los Angeles Unified School District since 1989. Sonya began as a Teacher’s Assistant in the Individualized Instruction and Basic Reading Labs. Upon receiving her degree, she began teaching the following subjects: Computers, CAHSEE Prep, and an Algebra class. Working in and for adult education has been very rewarding for Sonya and she is proud to be a part of an organization that supports, advocates and recognizes the adult education community. She believes it is important to continue to provide educational learning opportunities. West Valley Occupational Center has been a collaborative partner with Canoga Park and Cleveland Early Education Centers, as well as Cleveland Infant Center for the past 5 years. Ms. Candace Lee has been a strong supporter with outreach and recruitment of young parents in need of infant care. While these young adult students pursue their high school diploma at WVOC, they are able to leave their infants (birth to 2 years of age) at Cleveland Infant Center at no cost. Ms. Lee actively recruits students who may benefit from our services. This contributes to increasing the high school graduation rate in our community! In addition, Ms. Lee has a Child Care Occupations program at WVOC, where adult students are assigned internships at one of my 3 centers as part of their coursework. In January of this year, one of the interns was hired as an early education aide in the LAUSD! And this is not the first time! As a result of Ms. Lee’s partnership and collaboration, more high school students with infants at WVOC have obtained their diplomas due to our free infant care. In addition, this collaborative internship program has contributed to increasing the pool of Early Education Aides in the LAUSD! Ms. Lee has sustained our partnership over the years and shown exemplary educational practices in adult schools and early education centers that can be replicated by others, resulting in a win-win situation! Bob Harper joined the Campbell Union High School District in 2010 after previously holding administrative positions with school districts in Los Angeles, Salinas, Pacific Grove, Watsonville-Aptos and San Mateo. Bob has more than 40 years of experience in adult and career education, education policy/advocacy, strategic planning, school finance, curricula and instruction, workforce development and community outreach. Bob has a BA in English and teaching credential from UCLA, an MA in adult education from CSULA, an Ed.D. from UCSC with dissertation research focused on immigrant integration and adult education. Bob was member of the Workforce Investment Boards in three counties, currently serving on the work2future WIB in San Jose. He has worked as a consultant with UCSC and several community-based organizations in adult learning/transformation theory, competency-based instruction and assessment, and program evaluation. He has chaired over 40 accreditation visits to schools in California and Hawaii. 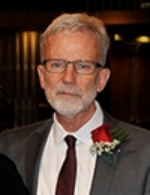 Currently Bob serves as the Vice President and state Legislative Chair for the California Association of Adult Education Administrators, and on the Field Partnership Team of the California Department of Education, the advisory committee to the Outreach and Technical Assistance Network (OTAN), and the state boards of the California State Consortium for Adult Education, and the California Council for Adult Education. Steve Curiel has been involved with adult education since July 2001, and currently serves as principal for Huntington Beach Adult School, Coast High School (a small independent study high school), and the district’s Community Day School. Steve has met with legislators to discuss adult education’s budget, accountability, and policies. He has served as a Field Partner for the California Department of Education and has worked collaboratively with other adult education organizations such as CAEAA, ACCE, and CCIS to build partnerships, share best practices, and advocate for the ongoing needs of Adult Education. Steve was the CCAE South Coast Section President during the 2012-13 school year, has served on the CCAE State Board, and is the incoming State President of CCAE. He serves currently as the Vice Chair of the Coast Education Consortium. He has participated as a panel expert at state conferences and helped host the CCAE State Conference in Palm Springs. He has also offered workshops for Adult Education Administrators for CALPRO.